Northern Italy consists of the five regions of Piedmont, Lombardy, Veneto, Liguria, and Emilia-Romagna, as well as the autonomous provinces of Aosta Valley in the West, and Frulio-Venezia Giulia and Trento-Alto Adige (Trentino and South Tyrol) in the East. The latter is home to an impressive blend of Austrian and Italian culture, and, like much of northern Italy, is a great spot for hiking and winter sports, thanks to the southern Alps and Apennines. Many tourists visit the region for the unique combination of tranquil coasts and bustling cities. The five largest cities in the region are the fashion capital of Milan, the relatively quiet Turin, the port of Genoa, the old university town of Bologna, and the floating city of Venice. While northern Italy’s cities are not to be missed, make sure to explore the areas beyond these bustling metropoles. 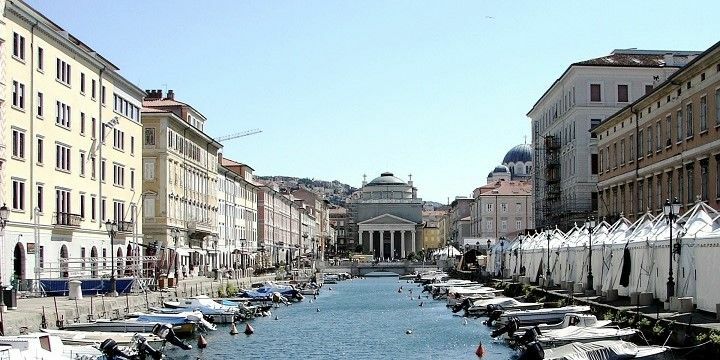 Udine and Trieste, for example, are located in the Frulio-Venezia Giulia region (close to the Slovenian border) and were controlled by the Habsburg-Austrian monarchy for many decades. These cultural influences continue to set the areas apart from other Italian cities. Trieste is located in the Frulio-Venezia Giulia region. Northeast of Bologna, the capital of the Emilia-Romagna region, you’ll find Ferrara, one of the area’s many medieval towns. It’s home to the beautiful castle Castello Estense, and is located about an hour outside of the Parco Regionale Veneto del Delta del Po. This nature reserve mainly consists of lakes and pine forests, and is great for hiking, biking, and canoeing. It’s a welcome tranquil escape from the nearby busy beaches of the Adriatic Sea. Despite its location in one of Italy’s industrial regions, Brescia impresses visitors with its ancient architecture and natural beauty, thanks to the Mount Maddalena — the so-called roof of Brescia (874m) — and the area’s two lakes. Lake Iseo, the smaller of the two, is home to the Monte Isola, which has a surface area of just 4.5 square kilometers, but a peak of 400 meters! Lake Garda is a popular destination in northern Italy. Lake Garda, on the other hand, is Italy’s largest lake and extends across three regions: Trento-Alto Adige, Lombardy, and Veneto. It is popular among tourists and locals alike, and is one of Italy’s most idyllic spots, with many small, terracotta-roofed villages, nestled in amongst the mountains. Lake Como, located in Lombardy, is considered to be one of the most beautiful regions in Italy thanks to its mountainous backdrop. Travel along the Como-Brunate Funicular Railway for great views over the lake and the surrounding Alps. The North of Italy is famous for its wine production and vineyards in areas such as Veneto and Piedmont. The latter, for example, produces the popular (but quite pricey) Barolo and Barbaresco wines. The Veneto region features many vineyards. A great way to explore northern Italy’s wine regions is by road. The South Tyrolian Wine Road, for example, is one of northern Italy’s most popular wine routes, and will take you through the towns of Tramin, Kaltern, and Eppern. If you want to explore Piedmont, take to the Road of Barolo, or Wine Route Alto Monferrato. 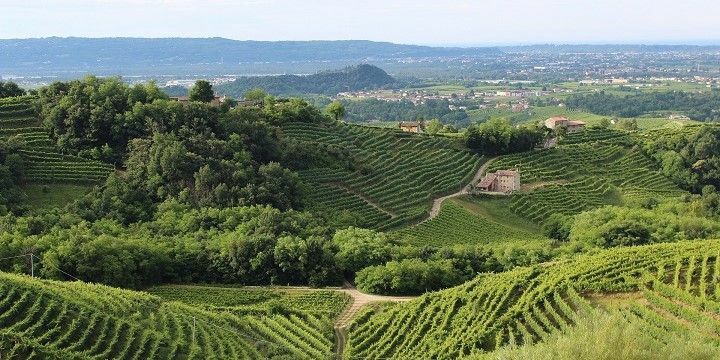 Alternatively, great sparkling wine can be found along the scenic Prosecco Road (Veneto), which stretches from Conegliano to Valdobbiadene. Whichever route you choose, be sure to book accommodation in advance, or opt for a guided tour, to avoid drinking and driving! If NextStop24 helped you to choose your next travel destination, we'd be very grateful if you’d search for your accommodation and things to do in Italy through these links. They're affiliate links, which means that we will receive a small commission for every booking made through them. There are no extra costs for you; you'll simply be helping to keep NextStop24 running. Thanks! My most visited place in last three years, but you can always find some new spot or something new to do. 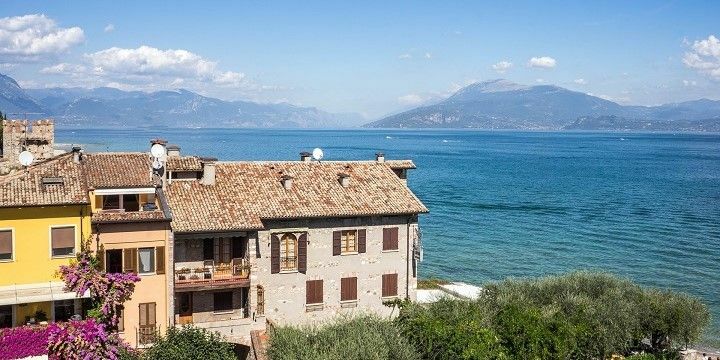 Amazing views on lake Garda, cute little town with good food, hiking or cycling. This time weather wasnt great, but it was still nice. But last september, when it was sunny, was unforgetfull. Great town for a one day trip. Include Castle Miramare in your visit. Castle Miramare and lunch at Eataly. It was hard to find parking garage. The best way to know other cultures is traveling! The north of Italy is beautiful! If you love pizza and pasta, it is the best country to visit! Bergamo, Como Lake and Garda Lake To not enjoying life! If you want to relax and get some culture, you're good in Italy! Italy is a very child minded country, they love the "bimbi". We have been going to the area for years now and want to go back and back... You have a lot of beautiful views (lakes, mountains, waterfalls, small villages) and also beautiful ancient cities with a lot of architecture. Also their food is delicious! We love pizza, pasta and their special dishes!! We decided to visit Venice because it's one of the greatest city of Italy and Europe. There is unique art which you can't find in any of other Italian cities. You must visit it asap. Visiting Bring food, because restaurant are so expensive. Absolutely stunning views in Cinque Terre. The five towns are connected by hiking paths that range in difficulty - definitely recommend hiking between at least some of them. The hike itself is on the edge of the cliff so you have incredible views of the ocean and the towns below the entire way without risking any safety as these are well maintained pathways. Food is fresh from the sea and the people were nice! If you are looking for a more relaxing, authentic part of Italy, check out Cinque Terre! Italy is my most favorite destination. As you can see history,art, culture,nature all together. I have been to Rome,Venice,Pisa,Bologna, Florence. Tips- if you are traveling in September do carry your water bottles and sunscreen.Its too sunny and hot. Carry your comfortable footwears because too much walking is there.Ohh, also carry a umbrella if possible,it's rainy too on September. Try not to buy anything from hawkers. I've been to Lake Garda a couple of times and am never disappointed! While there are lots of lovely hotels, don't be tempted to stay in the resorts because Garda's little towns and villages have some of the best Italian food EVER!